Van Breakdown Cover – Get 10% off! We know that your commercial van is your career, it’s your life. That’s why our providers’ policies will try and give the best possible options when it comes to breakdowns, and we promise to try and get you back on the road quickly as possible. 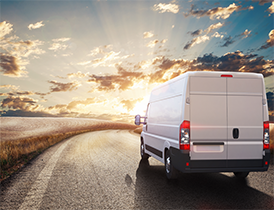 In ideal cases, your van will be repaired as quickly as possible by the roadside. If this can’t be done then even our standard cover guarentees your van will be taken to a local garage, within 10 miles of your breakdown, to be fixed that day. If this can’t be done, then our standard cover even promises an onward travel choice. Customers will have the option of complementary public transport to get you to your destination, a replacement hire vehicle or even overnight accommodation of up to £150 for one person. So no matter how bad the breakdown may appear, we’ve got you covered. But remember, please do read through your documentation and some restrictions to these scenarios may apply. On top of roadside recovery, another option in some policies is nationwide recovery. If your van cannot be repaired within the same working day, we will arrange for your vehicle, you and up to 7 passengers to be transported to your home address, or if you would prefer and it is closer, your original destination, as long as it is within the UK. Some of our policies include the very helpful Home Assist. With this, if your vehicle breaks down at your home, or even within one mile of your official home address, we will send help to you to try and get you moving again as soon as possible. After all, time is money. •	Breakdowns caused by poor maintenance, including excessive tyre wear and lack of water and oil, of the vehicle will not be covered if and when they breakdown. •	Cost of replacement parts for the van, are not typically covered by our policies. •	A total of 6 callouts within your period of cover are allowed, with total costs up to £15,000 worth of cumulative damage.